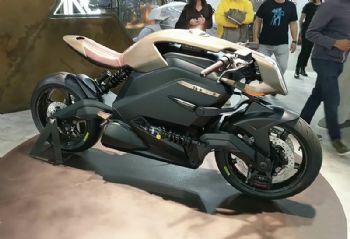 the world’s most advanced electric motorcycle. It comes with a connected helmet and an ‘intelligent’ jacket to create a ‘human-machine interface’ that feeds important information to the rider. The hand-made lightweight vehicle is set to retail at £90,000. Arc Vehicle founder Mark Truman has spent two years developing the motorcycle with a team of top engineers. As part of the funding deal, the company has appointed David Roberts, who has held senior roles at both Aston Martin and Chrysler, as chairman. Lisa Ward, investment director at Mercia Fund Managers, said: “Arc represents a step change in the way electric motorcycles are built.